On a baking mat or parchment paper make eight 1tbsp mounds of Parmesan cheese an inch apart form one another. Slice up the jalapeno as thin or thick as you like, lay them on a baking sheet and bake them for 5 minutes at 425 degree Fahrenheit. Once the jalapenos are out of the oven and have cooled lay each one onto a mound of Parmesan slightly pressing it down. 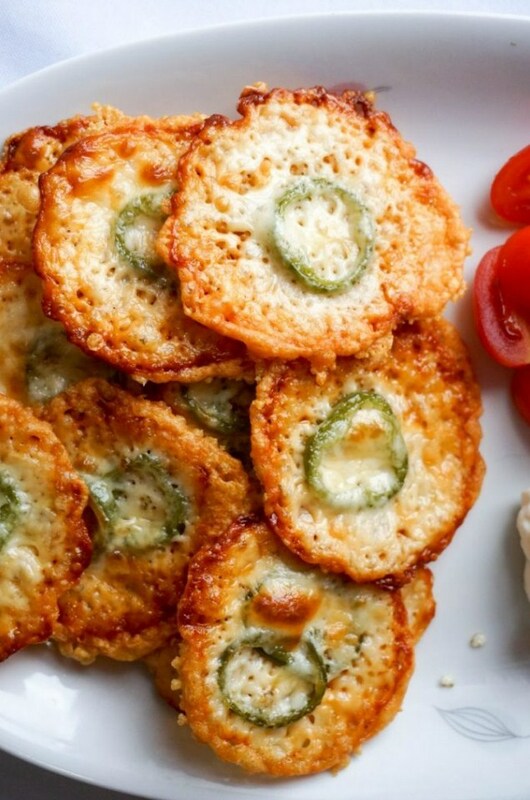 Split each provolone slice into 4 pieces for a total of 8 and lay each piece on top of the jalapeno and Parmesan.